to include it in my next three ways to wear post. 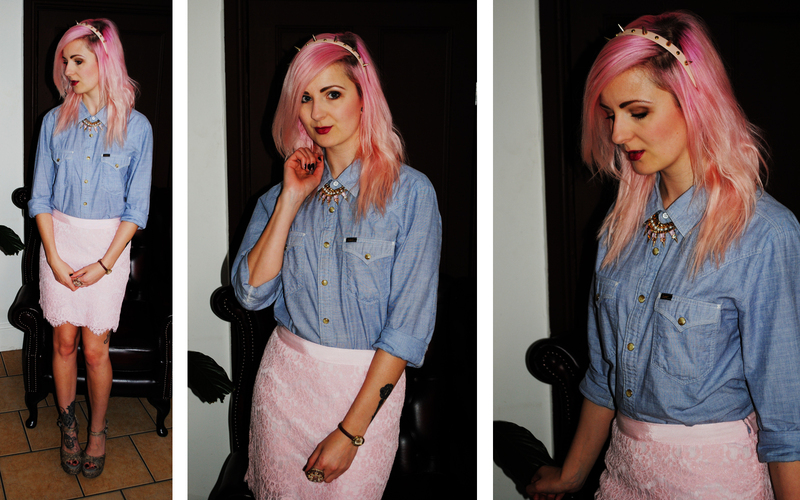 Denim can very easily be made super girly, I wore this to work, it also happened to be my birthday outfit! Team with a statement necklace and a lace skirt, add spiked headband for a little bit of an edge. Who doesn’t love a bit of pastel grunge? The playsuit can be pastel or a brighter colour if you want to add a bit of colour pop. This is the perfect outfit for any picnic or street party. I know that double denim makes some people nervous but it just makes me think of Marylin Monroe in the River of no Return, and if Marylin can rock it so can you! 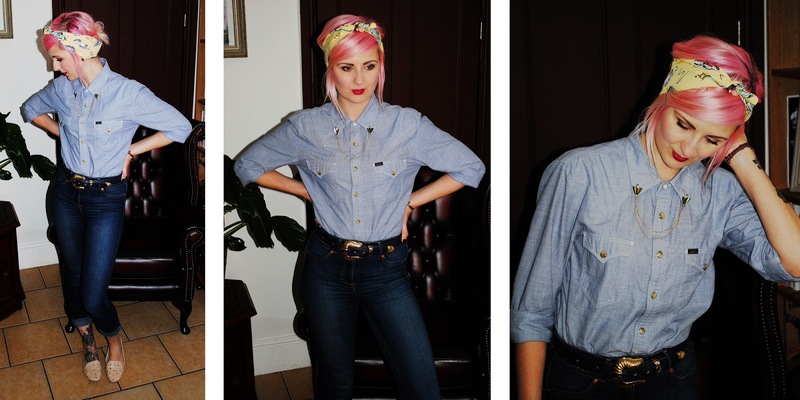 Add a printed headscarf for a really vintage twist. I like all three outfits. Well put together.